In 2014, Sony was subjected to a massive cyberattack which resulted in the leak of huge quantities of data. The trove contained several movies, all of which appeared online for anyone to download for free. Now the owner of one of the titles is suing Sony, claiming that company failed in its obligation to protect the movie from Internet pirates. November 2014 was one of the darkest months in the history of Sony Pictures. After being hacked by a group calling themselves the ‘Guardians of Peace’, masses of sensitive internal information was leaked online. In addition to thousands of emails sent between key Sony staff, several movies were also leaked online. They included Still Alice, Mr Turner, Annie, Fury and the unreleased movie To Write Love on Her Arms. This week, more than 18 months after the hack, the owner of the latter title sued Sony Pictures Worldwide Acquisitions in a Florida court. In its complaint, Possibility Pictures says that Sony failed to meet contractual obligations which required the company to protect the movie from pirates. 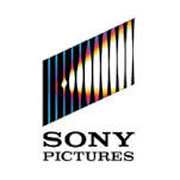 Noting that Possibility spent $3.38m producing the movie, the company says that the hack resulted from an “entirely foreseeable and avoidable failure of internal security” following many earlier security incidents at Sony. “SPE has been a longstanding and frequent target for hackers, but it apparently made a conscious and deliberate business decision to accept both the risk of losses and the actual losses of being hacked,” the complaint (first posted by HWR) reads. Possibility says that due to Sony’s negligence the movie was leaked four months ahead of its official release. Then, due to its appearance on multiple pirate sites, the audience demand for the title was “destroyed”. “While the total number of illegal downloads is unknown and unknowable, it is far more than likely [that the final tally is] many, many times the nearly 20,000 downloads recorded in just six days [following the leak],” the company adds. Furthermore, in the wake of the leak, Sony allegedly “lost all interest” in promoting and marketing the movie and paid no further distribution revenues to Possibility beyond an initial $800,000 advance. As a result, Possibility claims that it is almost $2.6m out of pocket versus production costs. To support its claim, Possibility highlights a section of its distribution agreement with Sony titled “Anti-Piracy Authorization”. The company says that the text shows that Sony was obliged to “protect the movie worldwide” using “appropriate technical measures or other techniques” to assist efforts to “remove, disable or otherwise prevent” unauthorized versions of the movie being pirated on the Internet. It’s certainly rare for a company like Sony to be accused of not doing enough to prevent piracy, so this case should be an interesting one to watch.